John Boyega (Star Wars series) is the rebellious Jake Pentecost, a once-promising Jaeger pilot whose legendary father gave his life to secure humanity's victory against the monstrous "Kaiju". 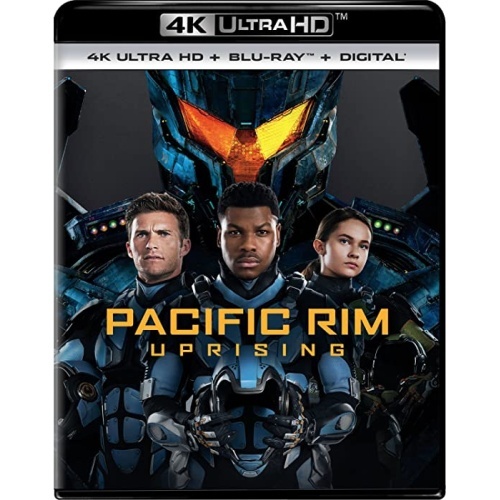 Now an even more fearsome alien threat has been unleashed on the world and Jake is called back into action by his former co-pilot, Lambert (Scott Eastwood), and a 15-year-old Jaeger hacker, Amara (Cailee Spaeny). 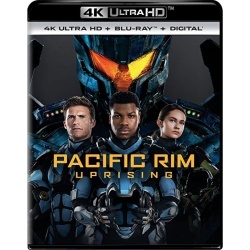 Rising up to become the most powerful defense force to ever walk the earth, they will set course for a spectacular all-new adventure on a towering scale.